Organizational culture has been recognized as an influential factor affecting the successes and failures of usability work in organizations; however, there is a lack of research on organizational culture in open source software (OSS) development. 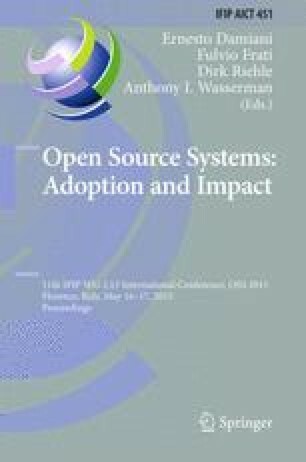 This paper shows that there are different kinds of cultures in OSS development projects and builds propositions on the relationship between culture and usability work in OSS development projects. Partly those are derived from the literature, partly from an exploratory empirical inquiry. We speculate whether there is an ideal culture type for usability work in OSS development or whether usability work should be modified to fit the different cultures of OSS development projects.